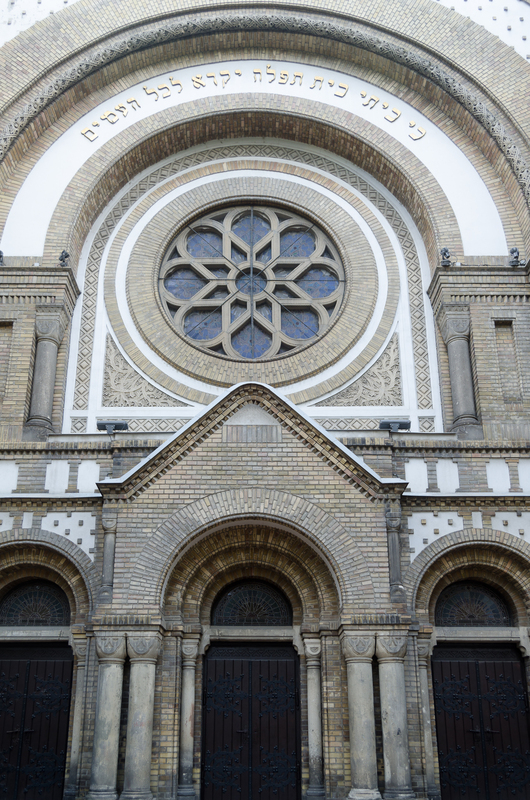 The Jewish synagogue was built in 1909, designed by the Budapest architect Lipot Baumhorn. It is situated at “Jevrejska” Street and represents the architectural ensemble together with the former Jewish school (now the middle ballet school) and the Church of the Jewish Community. The decision to build has made the Jewish Community in 1904. 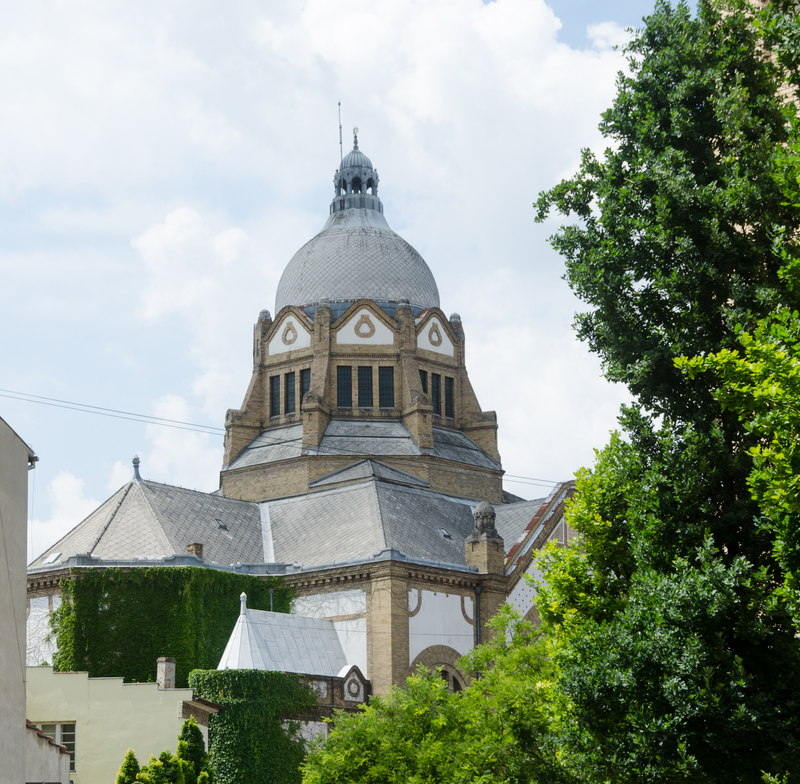 The building of the synagogue represents a fusion of different architectural styles and influences, reminiscent of Szeged, but has much smaller ornaments on the facade. There is a total of 9 entrances. The inscription at the entrance to the synagogue reads: “Let this house be a house of prayer for all nation” (Book of Isaiah 56: 7). At the time of the occupation, in the synagogue were imprisoned Jews from Novi Sad and then were deported to concentration camps. Today the synagogue is used for concerts of classical music and performances because of its great acoustics.